There’s been a lot of debate around the death of the mom blogger. Regardless of what side of the fence you fall on in the argument, the good news is that mom bloggers have given birth to social media influencers with greater reach and more channels to deliver your message. Yesterday’s mom blogger has extended her reach to Instagram where she showcases her favorite brands. She’s also come out from behind her laptop in order to share her opinions with peers on Facebook Live. 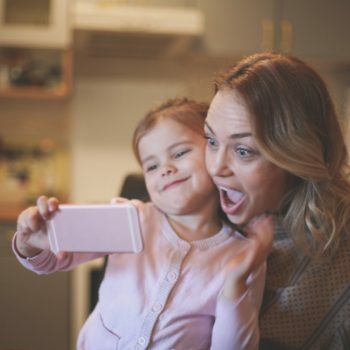 All of this has changed the marketing to moms landscape and how brands can use these influencers to connect with mothers. Here are four tactics important to success in 2017 and a few examples of moms who are effectively using them. Facebook Live: Before the commercials aired, moms had already discovered the fun (and effectiveness) of Facebook Live. From at-home unboxings and lifestyle segments to product reviews and in-store peeks, moms like Joey Fortman of Reality Moms have embraced Facebook Live. For her #CoffeeConvoWednesdays, Cindy Simmons of Surviving Mommy attracts thousands of viewers per video by picking three topics and weaving them in to a casual conversation. 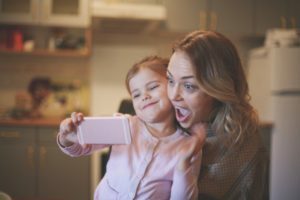 Brands such as Chick-fil-A are finding success in connecting with moms through virtual events. BSM Media recently produced such an event for Chick-fil-A’s brand ambassadors and Cristy Clarke, the founder of Table Topics. Over 200 moms took part in the online broadcast moderated by BSM Media’s CEO, Maria Bailey. Moms were able to submit their own questions for Cristy Clarke and were posting to social media throughout the one-hour event. Chick-fil-A garnered over 1 million impressions online about their new kid’s meal toy thanks to the multiple posts generated by the moms in attendance. To learn more about virtual events, contact Mary@bsmmedia.com. Instagram: Moms love posting pictures of family life, and of course the craziness that is parenthood. Ilana Wiles of MommyShorts shares snippets of her NYC life, incorporating brands that resonate with her personally, for authentic content. Naomi Davis of LoveTaza boasts almost ½ million followers by sharing colorful life stories through photos. Watching these Instagrammers’ posts will give brands a good idea of what attracts their followers, particularly fellow moms. BSM Media’s Social Spotters program is a turnkey marketing tactic that generates Instagram posts of your product on the shelf and in the retail environment. Play Monster leveraged BSM Media’s Social Spotters during a recent product launch in national toy stores and generated over 7 million online impressions. Ambassador Programs: As I watch ambassador groups evolve, it’s sometimes easier to convey what is NOT a good example. Mom ambassador groups are not about paying a group of mom influencers to post a required number of times each month on your behalf. It’s not gathering up a bunch of bloggers and asking them to put a button on their blog with your logo on it. An effective ambassador group is gathering a group of moms who truly love your brand through thick and thin. They are super fans and will defend your brand in a time of crisis. They will go to bat for you no matter what because they are loyal. You probably already know a few of these customers. Find them on social media and cultivate them in a group. Give them a name and solidify the relationship with them to make it beneficial for them as well as you. BSM Media manages Influencer Ambassador Groups for dozen of brands including HP and Chick-fil-A. To learn more about Ambassador and Advocacy Programs visit BSMMedia.com. Influencer Insights: Researchers tend to hire what I call professional focus group participants for their survey. Behind two-way glass, they watch and wait for insights. In 2017, try doing more social listening. Watch for hashtags about your brand, specifically targeted to it or through keywords and topics related to it. Conversations between moms are rich in ideas, potential product changes and great ideas for marketing and social media campaigns. I hope your 2017 is off to a great start and that you’ll utilize these tactics before Q1 is over! It’s going to be another fun year working with moms and brands, experiencing the lightning fast growth of social media playgrounds and the mom influencers who play in them. To learn more on how BSM Media can help your brand connect with Moms and their families, please email Maria@Bsmmedia.com.